Joseph Joseph Multi-peel is a range of four highly-effective peelers. Each tool has a high quality stainless-steel blade, added functions and easy-grip handles. 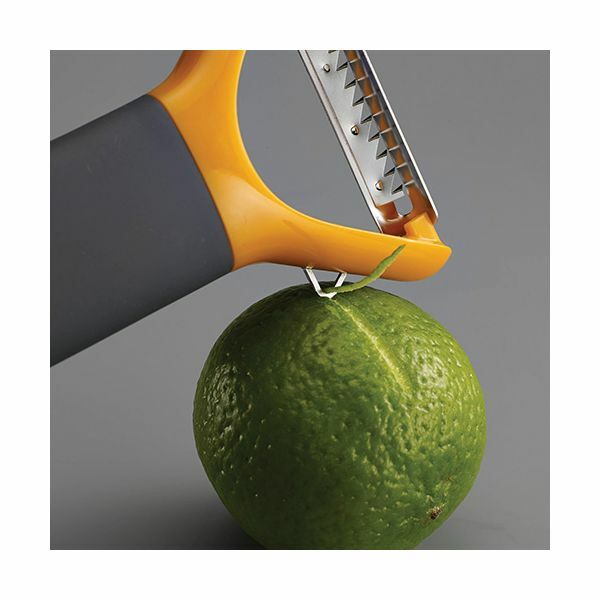 The range includes two different straight-bladed peelers, a serrated peeler for soft skinned fruit or vegetables and a julienne peeler. 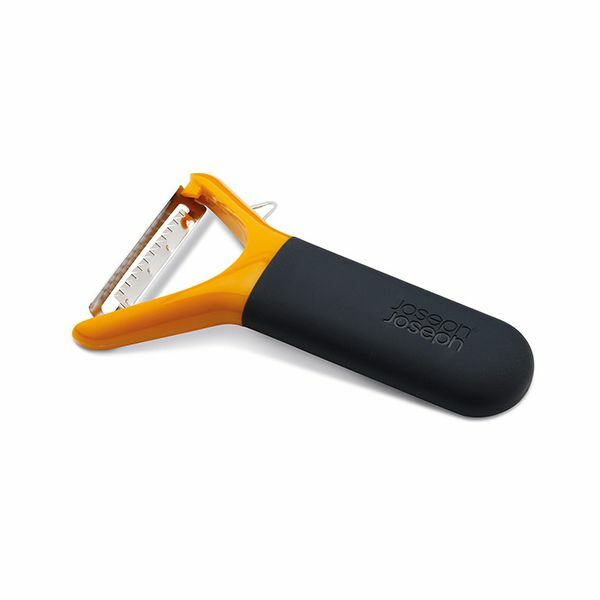 All Joseph Joseph Multi-peel peelers include a protective blade guard.